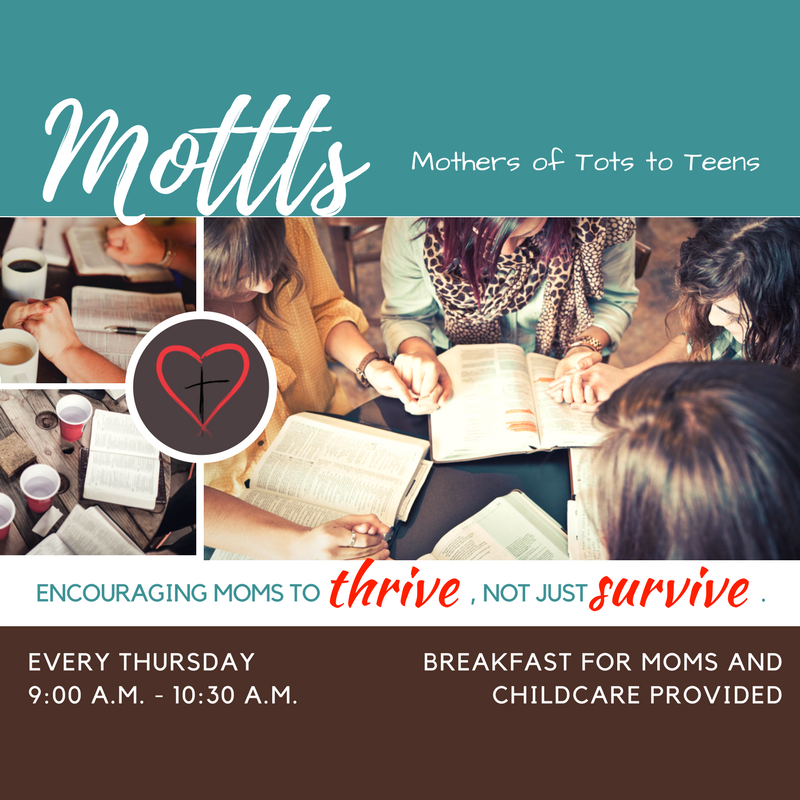 Mothers Of Tots To Teens is a bible study for Moms. They meet each Thursday morning from 9:00 – 10:30 am. A light breakfast is available, and Childcare is provided.